I have had a real challenge with this one…It was great fun doing the background (starting with white card) and added heaps of DI ~ Vintage, Wild Honey, Peeled Paint, Dusty Concord, Broken China and edged with Black Soot…I really wanted to highlight the silhouette feel of the card. You know, I absolutely love how the ranger inks blend together so well and you can do anything with them. I then overstamped with some writing, but used the background colours to ink it up with. The birds are from Tim’s collection…and I partially stamped them, die cut them and used my new UTEE and cracked it…then added it (raised on foam) above the image on the card. (gee, did that make sense?) ~ so, like a hand made embellishment I guess. the writing is aged photcopy paper, using the same inks again, scrunching, spraying, ironing and ripping…and Black Soot around the edge to make it pop a little….Maybe good for a father’s day card??? Inspire Me Fridays ~ anything!!!! Fab composition and shading !! Dot this is just gorgeous, your work is fabulous. 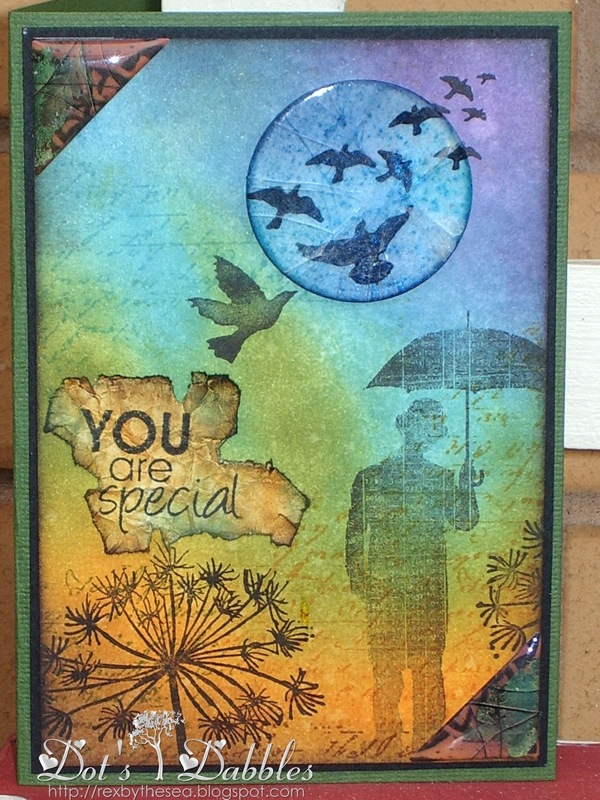 This is amazing Dot, such a gorgeous colour combination and great stamps. 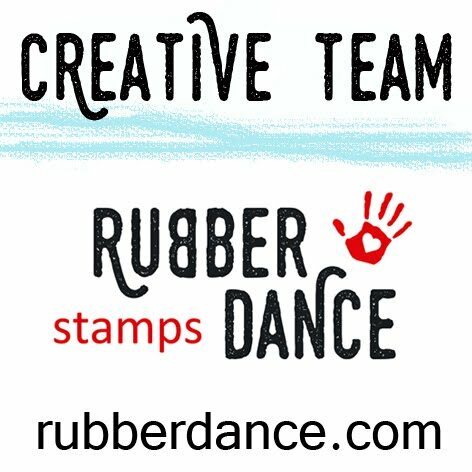 Thank you for sharing your fabulous creation with us at The Stamp Man and joining in our 'Anything T!m' challenge. Stunning card and i adore that "home made" embellishment, such a clever idea! Hi Dot, when I left the message above I didn't realise we are going to be on the same team. Looking forward to designing with you. Hi Dot, FAB card! Such a wonderful design. Gorgeous man card! great design and love what you have done with my fav umbrella man! I love the colours and artistic arrangement of this card. Your subtle inclusion of die cuts and texture is masterful. Thank you for joining us at jac-inks, I look forward to seeing more of your creations.